Welcome to the first-ever “What are you reading this month” in conjunction with the Indies Unlimited 2016 Reading Challenge. You don’t have to be a part of the challenge to participate in this feature, but… I mean, come on, the Challenge is pretty cool! Author AdministratorsPosted on February 3, 2016 February 2, 2016 Categories Book FairsTags IU Reading Challenge, What Indie Book Are You Reading This Month? Challenge categories: Indie, part of a series, reviewed on B&P. I’m reading Chez Stinky by Susan C. Dafron. It’s the first book in a romantic comedy series. I’m about halfway through it and am really enjoying it. Challenge category 2. An author you’ve seen commenting on IU posts. Thanks, Jeannie! I hope you enjoy the book! I’m reading a Novel Obsession by Jeff Joseph at the moment, though will probably read another book by the end of the month. 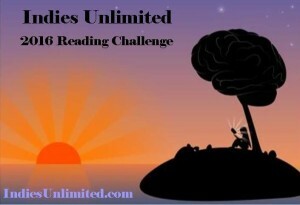 I’m doing the challenge in order, one book per month. This month, I’m reading By Darkness Revealed by Kevin O. McLaughlin, who I’ve seen commenting at IU. Last month, I read a book by an IU minion — Yvonne Hertzberger’s Labyrinth Quest. Last month I read The Earthquake Doll by Candace Williams, set in a different culture from my own.Very impressive. I reviewed on GR and had friends add it to their lists. This month it’s Bone Girl by Annette Drake. The cover caught my eye when advertised on IU. I’m glad you enjoyed it! And thanks very much for reviewing and sharing. I saw the cover of Bone Girl and thought it was nicely done. Most mysterious! I’m reading “Dirty Deeds” by Armand Rosamilia. Good, fast-moving story. I am not participating in a reading challenge. I’m reading Mated with the Cyborg by Cara Bristol. It’s the second book in this series.